Package 5 Days 4 Nights+James Bond Island+ Phi Phi Island+Phuket City Tour+Fantasea Show+Airport Transfer Service. Package 5 Days 4 Nights. Meet and greet at the airport with a warm welcome by our tour representative and transfer to the hotel then relax on your own leisure. 06.30 am. Breakfast at your hotel and wait our driver at hotel’s lobby. 07.30 - 08.00 am Pick up from your hotel and transfer to the pier at Ao Por. 10:30-16:30. pm. Arrive to Koh Panak Island. Proceeding Sea Canoeing with the wonderful scenery at several caves and lagoons of Koh Panak : Bat cave,Mangrove cave, Mud cave, Ice Cream cave, Shell cave and Pirate cave. (Number of caves is up to the level of water and the averaged time exploring for each cave: 30 minutes) Boat leaves from Koh Panak to Koh Hong or Room Island which you can explore by canoeing the stalactite and stalagmites which are happened by natural phenomenon situated around 3 lagoons called Toilet Room, Living Room and Honeymoon Room. Buffet lunch on board. Depart to Khao Tapoo, well known as James Bond Island about 50minutes.Depart from Koh Hong to Koh Lawa or Koh Naka.1 hour for swimming and relaxing at Lawa beach or Naka Beach. 17.00 pm. Return to the pier and transfer back to your hotel. 06.00 am. Breakfast at your hotel and wait our driver at hotel’s lobby. 10.10 am. 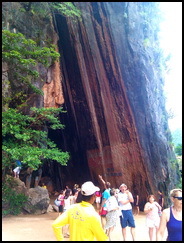 Visit Ba Ngu Islands (isl.No.9). 11.30 am. Have lunch (Thai food set menu) on Similan Islands(isl.No.8). 13.00 pm. Transfer to Miang Islands (isl.No.4). 14.00 pm. Enjoy snorkeling at Payu Islands (isl.No.7). 15.00 pm. Transfer back to Taplamu pier. 16.30 pm. Arrive at Taplamu pier. 18.30 pm. Arrived at hotel. 06.30 a.m. Breakfast at your hotel and wait our driver at hotel’s lobby. 09.00 a.m. Pick up at Hotel to full day Phuket city tour. * Take you along beautiful beach roads though Patong, Karon, Kata Beaches. * Visit Phuket View Point at Kata Noi Beach and down onto to Rawai Beach. * Visit to Pearl farm, Phuket's most famous product. 13.30 p.m. * Visit to Wangtalang Lapidary gem factory. Enjoy with refreshment (soft drinks, coffee or tea). Elephant trekking tour 30 minutes. 22.30 p.m. Transfer back to your hotel. Transfer to Phuket Airport International for flying back to your country with a pleasant trip. Round trips Airport transfer service. Equipment for snorkeling and canoeing with paddle guide. 5 Days 4 Nights+James Bond Island + Similan Island + Phuket Sightseeing Tour + Elephant trekking +Fantasea Show + Airport Transfer Service. 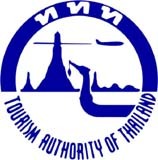 Phuket city tour can be moved either on your first or last day depends on your flight schedule. Similan Island is available during Nov - April only and during May - Oct will be Phi Phi Island instead. This package will be confirmed once you have received the confirmation from our staffs only.